litigation. 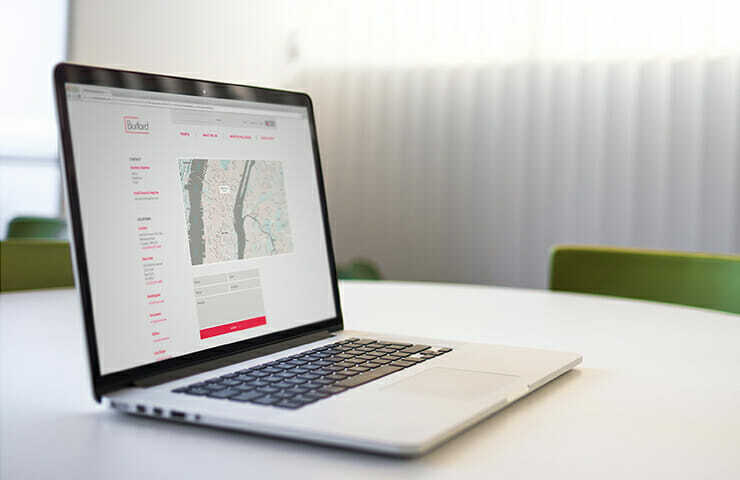 The services delivered were the result of many months of work in research, planning, design, and development by IridiumGroup and the client team. A phase of stakeholder interviews shared insights into the company’s strategic goals, audiences, communications and channels, brand image, competitive set, and content needs of the site. The discovery that was done with Burford’s executive management team provided critical insights that guided the design. Burford Capital works predominantly in academic, intellectual property and provides a full suite of solutions, but in some ways is also an investment institution. Early in the process, it was clear that the design should be typographical and content-driven, with a focus on delivering information in a clear, simple, easily accessible manner for a variety of audiences. 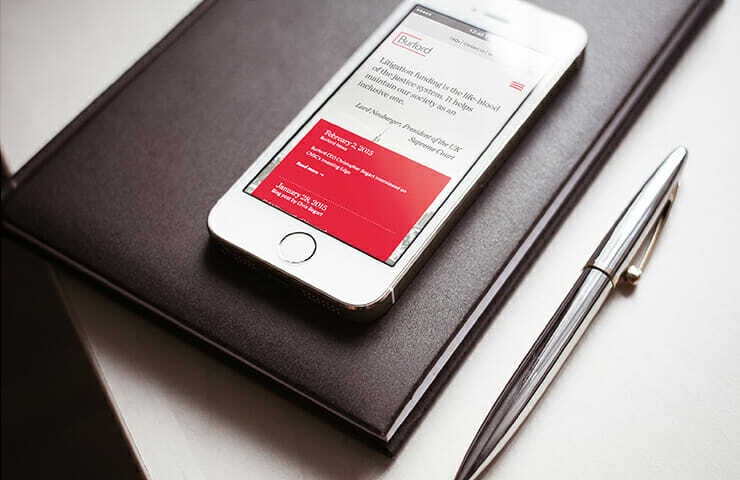 We worked to provide a visual expression and platform that would appeal to corporate attorneys, CFO’s, in-house counsel and corporate risk professionals. Our team worked to deliver an approachable, engaging, and inviting experience — but also, one with a quiet, restrained, and elegant presentation of data points and information. It was our goal to project a clear brand image of authority and thought-leadership in the emerging world of litigation finance and legal risk solutions. 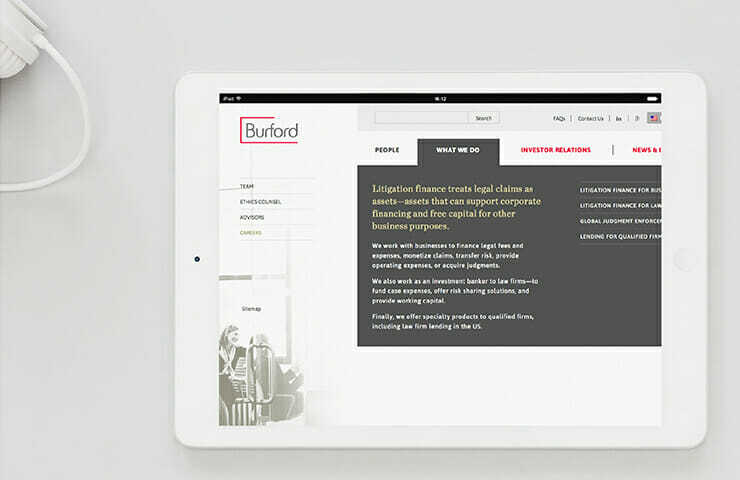 A proposed navigation, site structure, and wireframes were developed to meet the usability needs of several key audiences on both the legal and the corporate, client side. 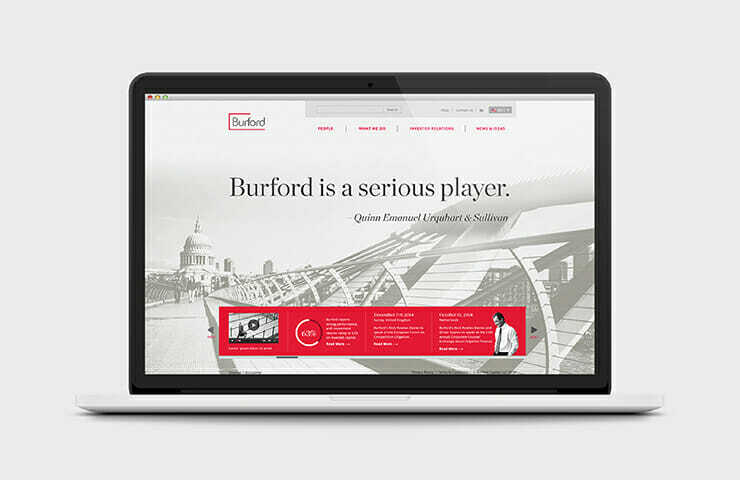 Burford Capital’s marketing leaders directed the content and navigation. 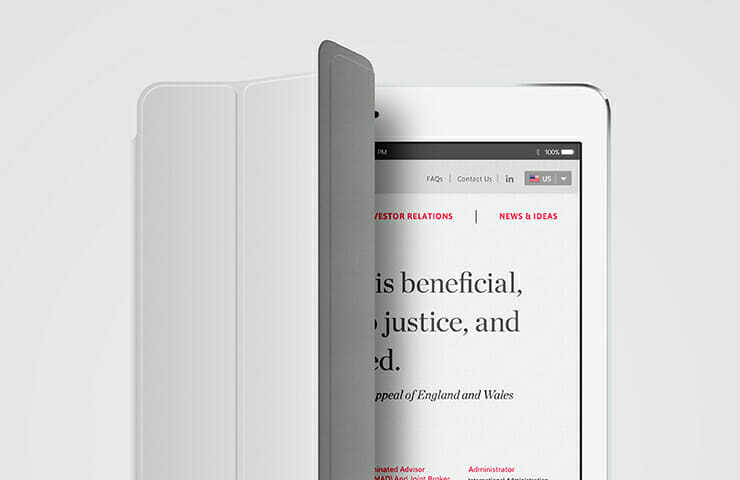 It was important to deliver the proper messaging and desired user experience to all audiences, whether the purpose was to explain litigation funding, convey its business value, report progress to investors, share whitepapers, or to provide a deeper tier of reading and related links.